Nobody can predict the future. Ancient Biblical prophets were not fortune tellers. They were men and women of God who would learn from the past, analyzing the present, and, as a consequence of the lessons of history and the potentialities and dangers of the times in which they lived, would announce the future so that the people “who walked in darkness” would see the coming lights. In Cuba, regardless of what the future holds for us, with structural changes or without them, in April there will be generational change. April 19, 2018, has been selected as the day for the so-called historic generation to abandon the posts of President of the Council of State and of Ministers, to give way to a person born after the start of the 1959 Revolution. Evidently, at this level, any structural or profound change does not depend solely on one person, although the leader can exert significant influence. It will necessarily depend on circumstances being such as to favor or pressure change, in an apparent viable, peaceful and beneficial egress, and on radical, violent or gangster alternatives to be so costly and/or damaging to the great majority of the people as to deter the leaders from adopting them. Nobody in their right mind and with love for Cuba would wish for changes of this nature, or conducive to worse situations than those currently in force. Experience and human nature teach us that no one is equal to another, and that the transfer from one generation to the next, even if seeking to have “everything tied down, and tied well ” in order to achieve continuity, will always bring about changes in interpretation, in focus, in style and in individual criteria. No totalitarian or authoritarian system has gone on in identical fashion after the generation that established it passes on. Why would Cuba be an exception? From an economics point of view, the current situation is unsustainable. The elimination of the double currency needs to happen as soon as possible and will result in a hard hit upon those more vulnerable. The opening towards freelance sole proprietors, despite the counter prohibitions that have been enacted in the past and currently, needs to happen to strengthen the private sector so it can pay taxes to the national budget. Legal certainty for Cuban and foreign investors needs to be urgently legislated. 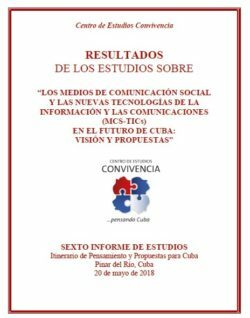 Broadband repression, which covers all of Cuban society, and not only opposition leaders, needs to cease. Polarization and violence on account of a lack of values and social suffocation need to find serenity and civilized coexistence. The internal embargo against entrepreneurs and professionals needs to be lifted together with all other blockades. 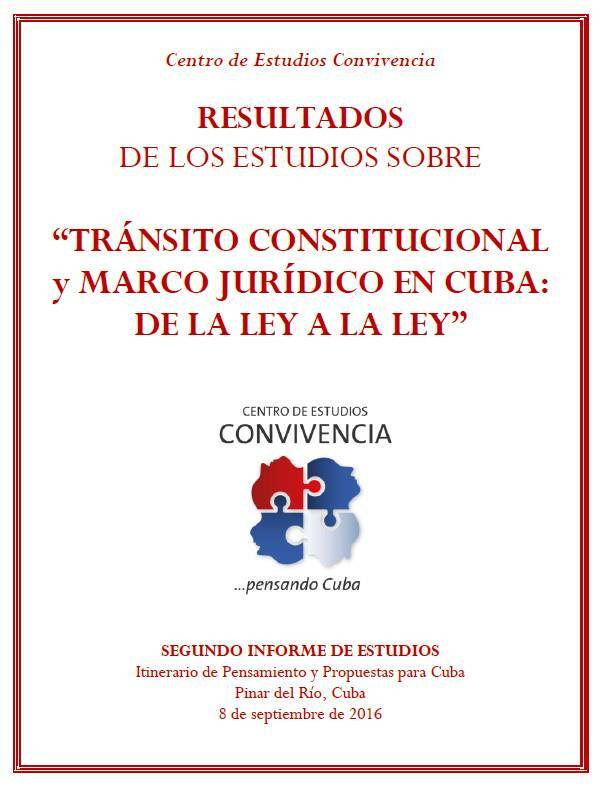 The lack of perspectives in life for Cuban youth, the violation and lack of respect for their own laws and current Constitution by the elite in power, as well as how the authorities regulate and deregulate arbitrarily, the searches, confiscations and limitations placed upon full religious freedom, as well as freedom of expression and assembly, as well as a long list of systematic violations of citizens’ rights needs to be guaranteed by law, as well as the establishment of ethics and civic education for all citizens. In the international arena Cuba is more isolated than years ago. It can no longer count on the large subsidy from Venezuela. For the first time, the first trade partner and prime investor is a bloc of market economy countries with democratic political systems, something unheard of during the last 60 years. The correlation of forces and elections throughout the world trends towards the center and the center right. The belligerent Left identified with projects of authoritarian socialism has lost real political spaces. 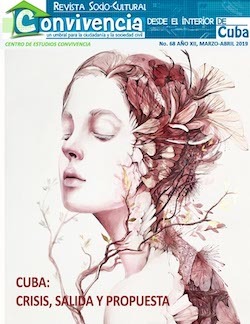 And apparently, tourism, especially the American one, has felt the negative impact of the current situation with the deterioration of Cuba-U.S. relations. After the path of a devastating hurricane in several Cuban provinces, already in precarious conditions after six decades of accumulated disrepair, the Country finds itself, perhaps, in its most acute and complex situation of all time. 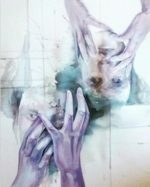 Those that will inherit the management of the State will be receiving a Nation that is impoverished, and fragmented due to the flight of its children towards any foreign destination, a crisis in values occasioned by anthropologic damage, a lack of hope and a lack of credibility in its institutions. In addition to these situations, other factors internal to a model that doesn’t work will also exert influence, as well as will the international pressure coming to bear in favor of an opening in the Island, to democratize its political and administrative system, and to modernize its economy with a profound decentralization and incentives for entrepreneurs. All of this will mean a great challenge for those that will get in power with a society that, on the other hand, has been introjected with a dependency on a paternalistic State. 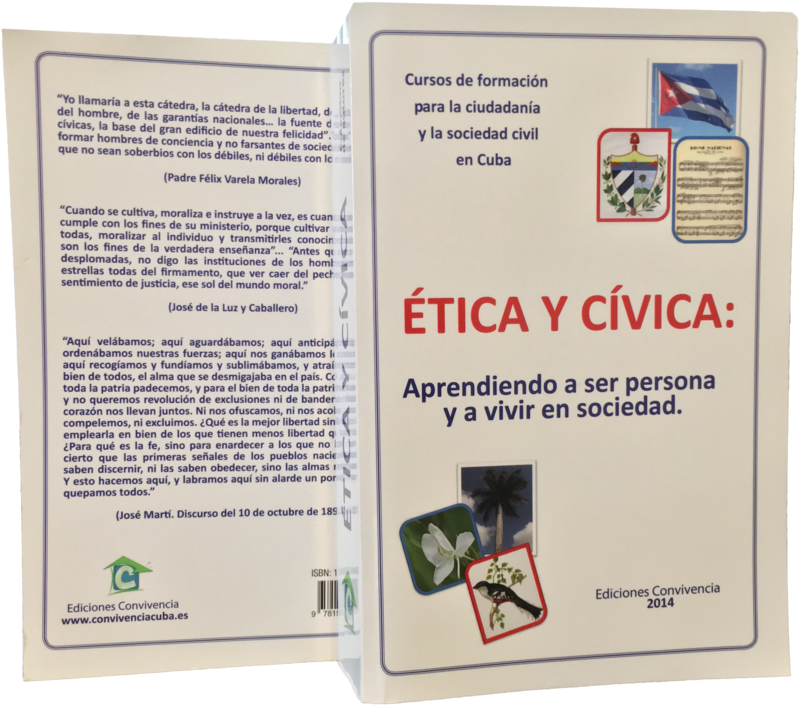 One cannot educate in the assumption of risks and progress in personal freedom and responsibility with rights and duties without changing the centralized system that has not shown the will to cede spaces, projects and liberties so that Cubans can become mature, independent, free, responsible citizens who may be able to manage enthusiastically, and with hope, their own lives, and those of their families and of a Nation, from which they will not wish to escape. We are certain that if the generational rotation that will inherit political power understands, accepts and responds to these challenges, it will reveal a true will for structural and not cosmetic changes, and will be able to garnish the support of the great majority of Cuban citizens, as we would be starting a new life. We are also convinced that, if these signals appear, and if they are adopted in a reasonably gradual fashion as to avoid shocks and the never-wish-for violence, but without pause or retreat, then the international community as a whole would support the new leaders with resources, investments, know-how and political solidarity provided they evidence good practices in a rational and modern government. 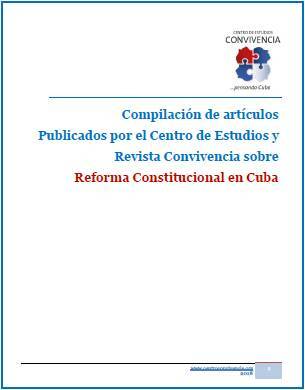 That is, with an unrestricted and public respect for all human rights of all Cubans, a coherent and organic legal framework that guarantees, protects and orders this deep and urgent process of transfer towards a participative and democratic political model, a market economy model, a rehabilitation of institutions corroded by corruption, a solid plan for ethical and civic education and legal stimulation so that all Cubans, regardless of where they live or how they think may be able to start businesses without peril of confiscation or State intervention. That rational and modern government would begin the road towards a new stage in the history of Cuba in which we may be able to build in peace and respect, in pluralism and legality, a civilized, free, responsible, prosperous and happy coexistence. Nobody knows what the new generations that will inherit power will do as far as “changing everything that needs to be changed,” but what nobody can say is that Cuban men and women do not know what we want, that we have not thought about what we hope for, or that we have not proposed what we wish to build with our own efforts, sovereignty and creativity. Once again, at this junction, unprecedented in more than half a century, we publicly profess our full faith in the talents and abilities of the Cuban people. As well as our absolute certainty that if these changes begin to be implemented seriously and without retreat, Cuba will be able to count on the drive, human capital and ideation in the search for viable and inclusive solutions from the great majority of its children, those that live and work in the Island and our brethren who live and work in the Diaspora, who show by their works and behavior what in fact Cubans are capable of doing by and for ourselves. Let us change, let us trust, and let us begin this road of peace, freedom, justice and love, so yearned by all of us who love Cuba.